Singapore is an amazing place, something that you can’t really put your finger on. Before you even land at Singapore Airport you can see straight away that they mean business. 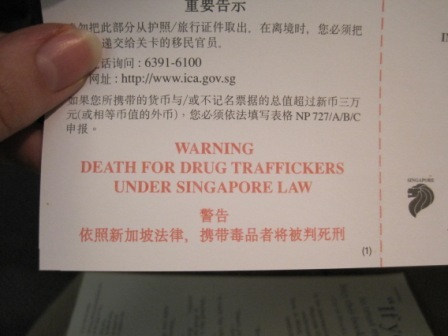 The boarding cards for International travellers clearly highlights to foreigners the penalty fo r bringing in drugs, the death penalty. I wasn’t here for drug trafficking but even so this put the shivers up me. 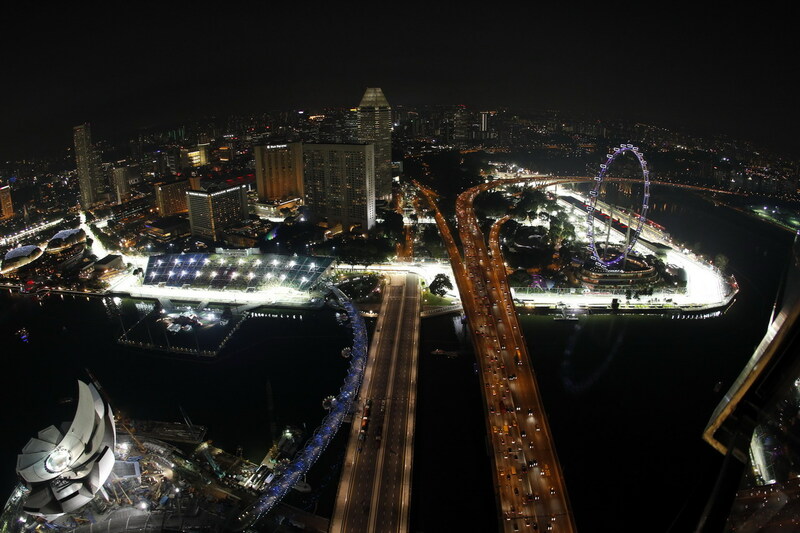 I was here for the biggest event of the year in Singapore and has been for the past 5 years, the Formula 1 night race. People from all around the world converge on this country/city for 3 days of racing around the city streets and the concerts that proceed that. As you can see from the image below the race course is like no other, Monaco comes close but this supersedes that without any doubt. This year was sold out all tickets with only a few remaining Pit grandstand available and these cost in excess of £600GBP each. These tickets are the ones on the home straight and starting grid so you do get to see something special happening. The concerts mention earlier were headlined by none other than Noel Gallaghers High Flying Birds and the one and only Katy Perry. A truly spectacular event. Cheap tickets were a around £80 for Saturday night tickets, value for money if you ask me. 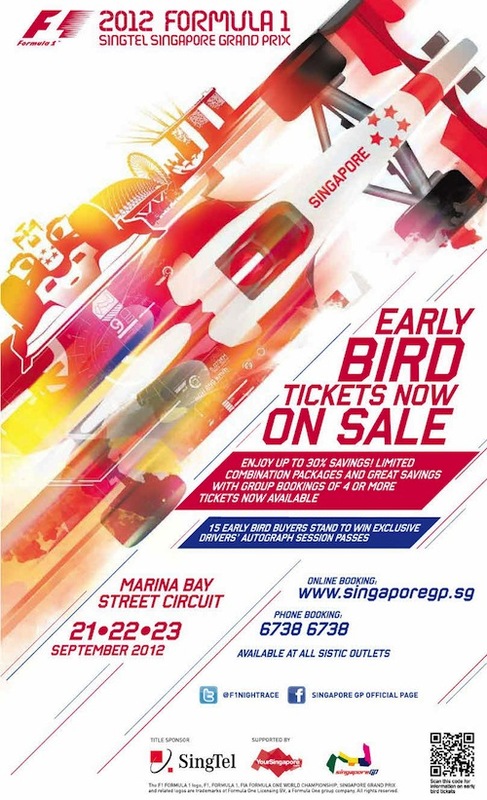 Based on this I will be buying my singapore 2013 tickets today. Sounds like a fantastic opportunity to see Music and F1 action.